GOD BLESS the TROOPS !! Hi America! My name is John Schmidt and I'm here to SUPPORT OUR TROOPS through my words, my songs, my actions and any other ways and means I can possibly find to support them. I hope you'll join me and many other military families, veterans and friends in doing the same. 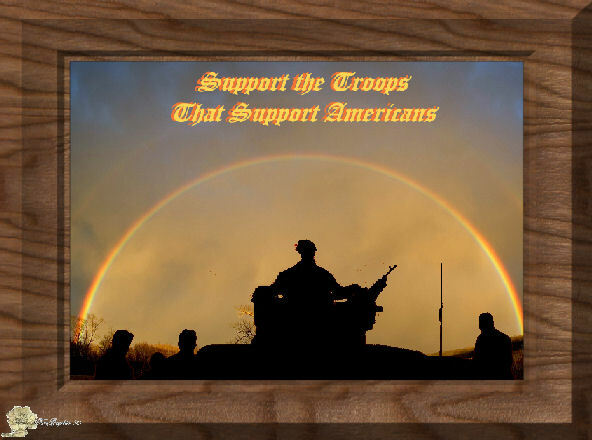 Whether you agree with the war or not, one thing we all MUST AGREE UPON IS SUPPORTING OUR TROOPS. They're in different countries doing jobs that no one else wants to do. That's why I've recorded my 3 songs, SO FAR........:0) I'm sure I'll record more! This is America, Our Heart and Soul, Click the link for your listening pleasure. To contact John, Click HERE NOW! I still believe her truths like Liberty's sweet torch. No matter who you are, we all still hear your voice. the land where the Eagle still flies free! our heart and soul, and a home for you and me. 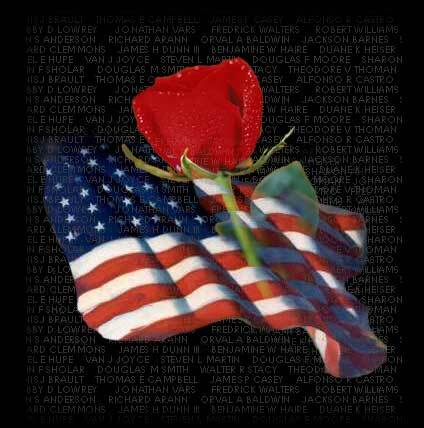 so many lives were sacrificed, for the dreams of you and me. one nation under God, and the home of the brave. 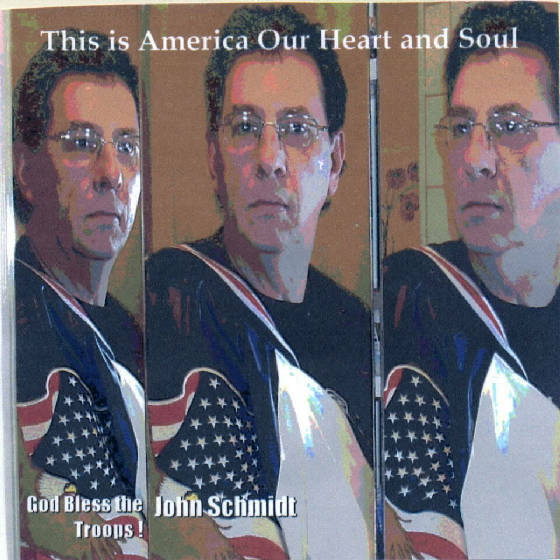 This song "This Is America Our Heart & Soul,"
Vocals are Ashley Schmidt & Jason Rosendary. To contact the webmistress, powmiaangel, click here now. Copyright 2006-2012. These songs are shared with you courtesy of John Schmidt, singer and song writer. Webmistress is powmiaangel 2006. I am a feel free graphix artist. Please feel free to snag, take, any/all graphix you enjoy. Art is created to be shared.